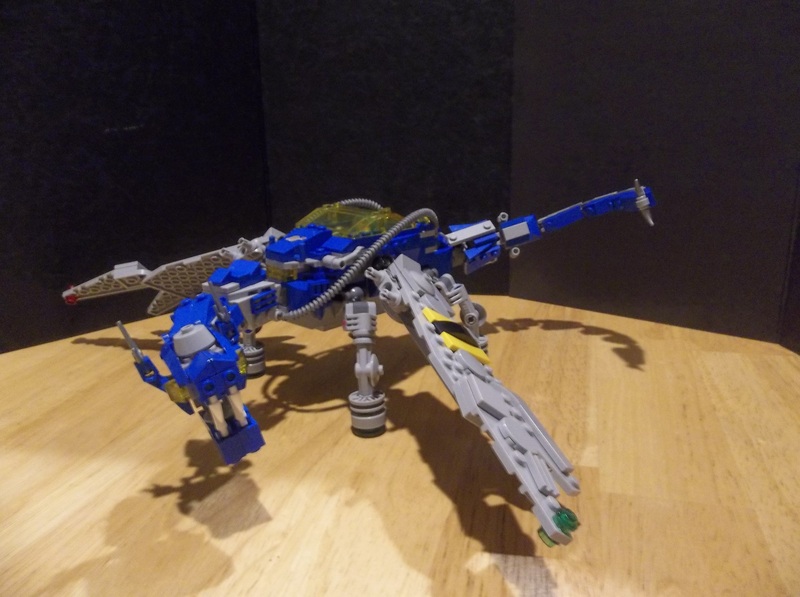 Combining my two favourite things to build into a single MOC, this is my “Elemental Dragon of Classic Space”. Apparently I have access to enough blue now to pull this sort of thing off. We’ve seen “Elemental Dragons” of all manner of “elements”; I myself have built an Elemental Dragon of Steampunkery. 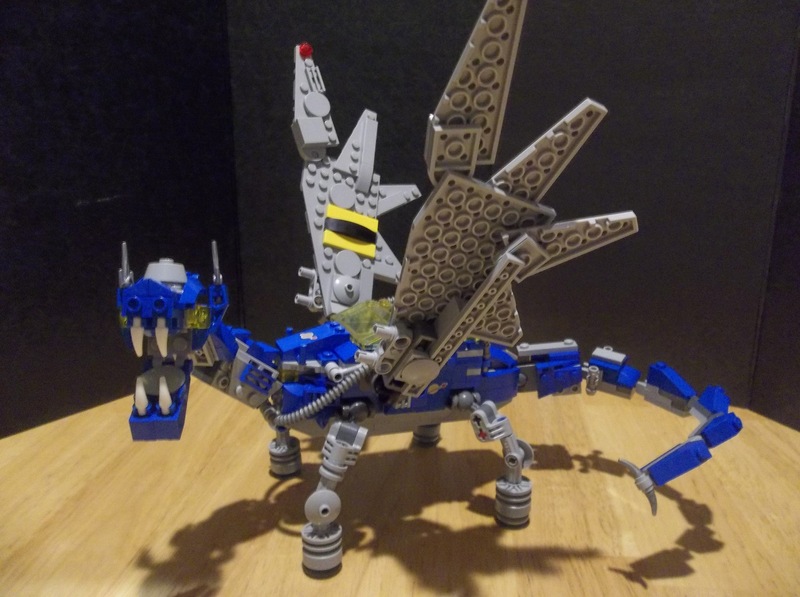 LEGO likes elemental powers, and their list of elements is fairly extensive, with only tenuous connection to the various classical lists. I figure I’m on safe ground. 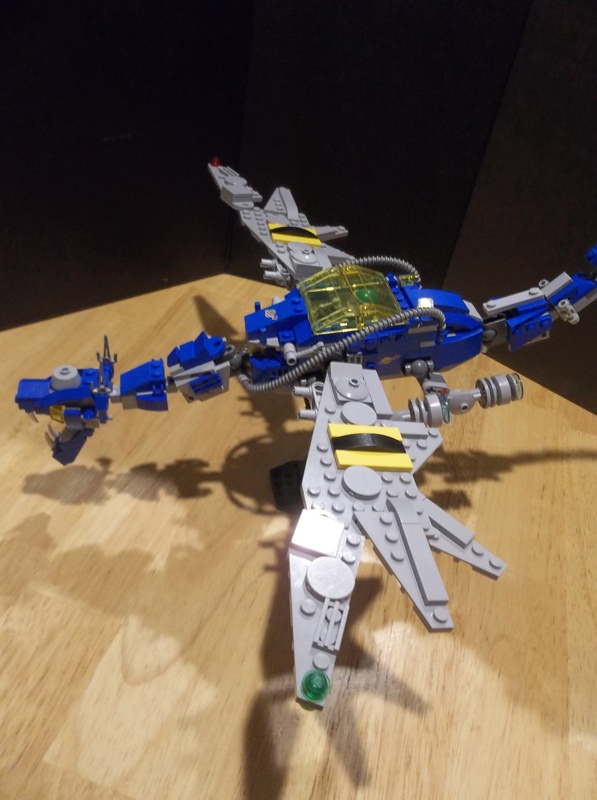 Whether it’s a spaceship shaped like a dragon or a dragon with spaceship-like features, I think any Sir Benny would be pleased with the result. It probably doesn’t breathe fire, but it might breathe plasma. By the same token, it doesn’t have any obvious laser cannons (possibly those stubs under the wings? ), but a plasmatic breath weapon is almost as good. I tried out two different versions of the legs. 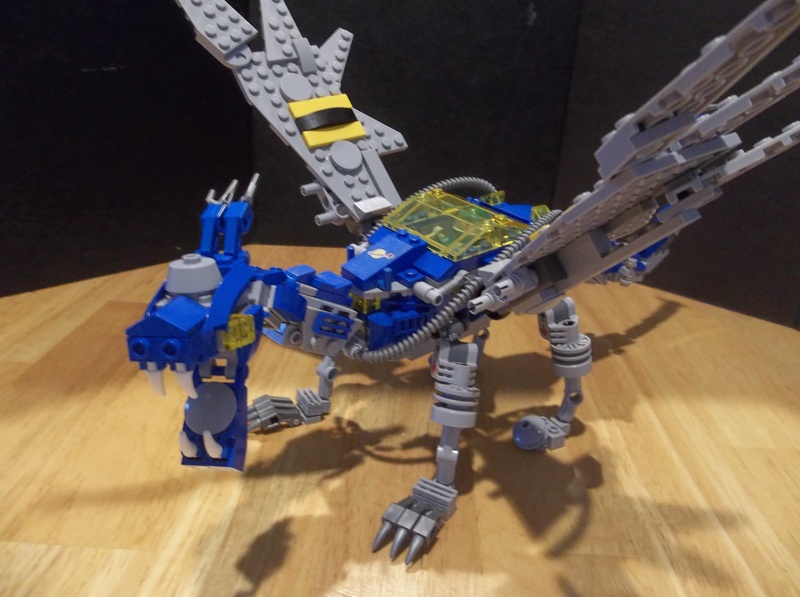 The first, directly above, here, was a more draconic version, definitely dragon legs rather than anything else, and rather begged the question of how the creature/vessel’s propulsion worked. It also had a couple of other tweaks, particularly the placement of the horns. Then I decided that combination leg/thrusters was the way to go, abandoning the claws and slightly strange back feet for a quartet of engines. 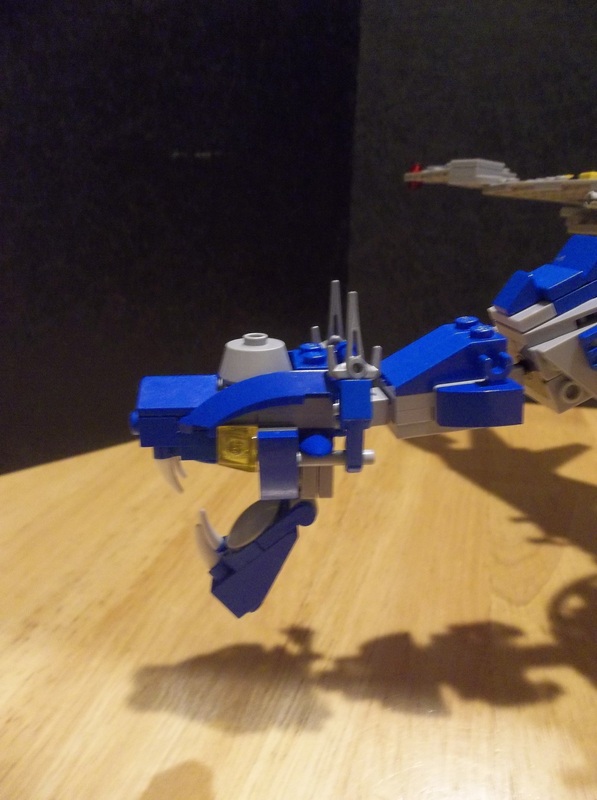 The resulting legs are a bit stubbier, and part of me is unsure about completely giving up on the claws, but it works better for being a spaceship and it’s still recogniseably a dragon. Besides, as the Elemental Dragon of Classic Space, it should have Classic Space features. The wings are regrettably studded, but I used all of my available grey tiles to alleviate the problem and this was the best compromise I could manage between wings of an appropriate size and shape and total unwieldiness of weight. I’d have preferred a smoother finish, but you do what you can. 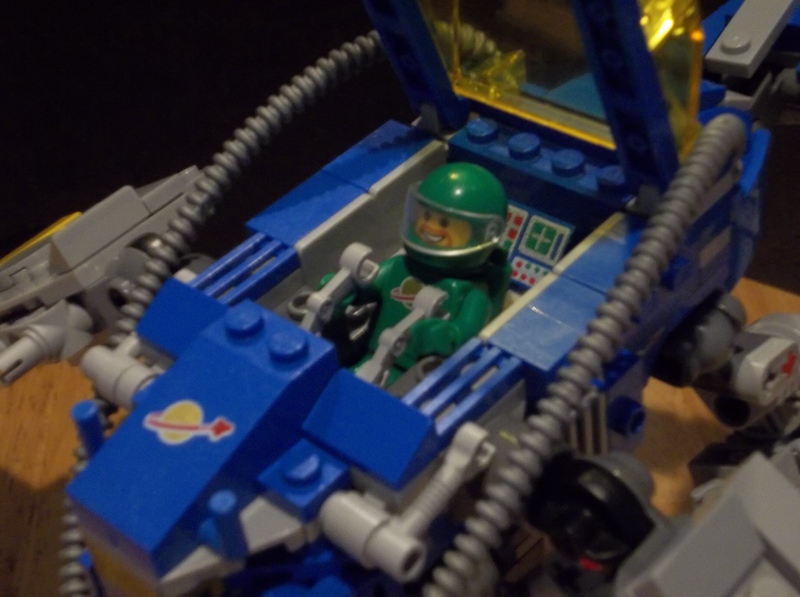 Likewise, a red or white astronaut would have looked better, but according to some suit classification schemes the green suits are mech drivers, so that does sort of fit. And I still have yet to purchase Classic Space astronauts in those colours, so I’m stuck with green for the moment. 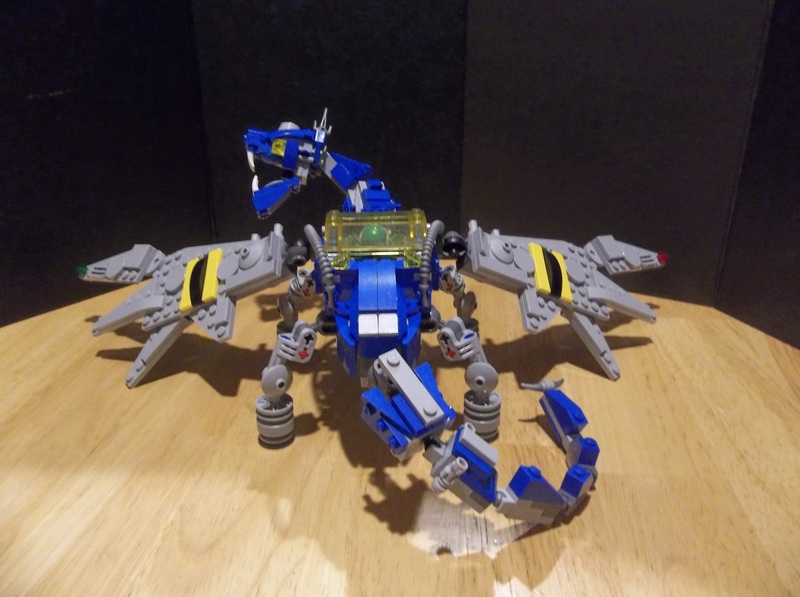 This entry was posted in Creatures, Dragons, Lego Classic Space, Lego Space, Mechs and tagged Dragon, Lego, Lego Classic Space, MOC, Spaceship on January 24, 2017 by geoffhorswood. Seriously, though, this is amazing. This is, by far, the coolest genre-combo build I’ve seen. 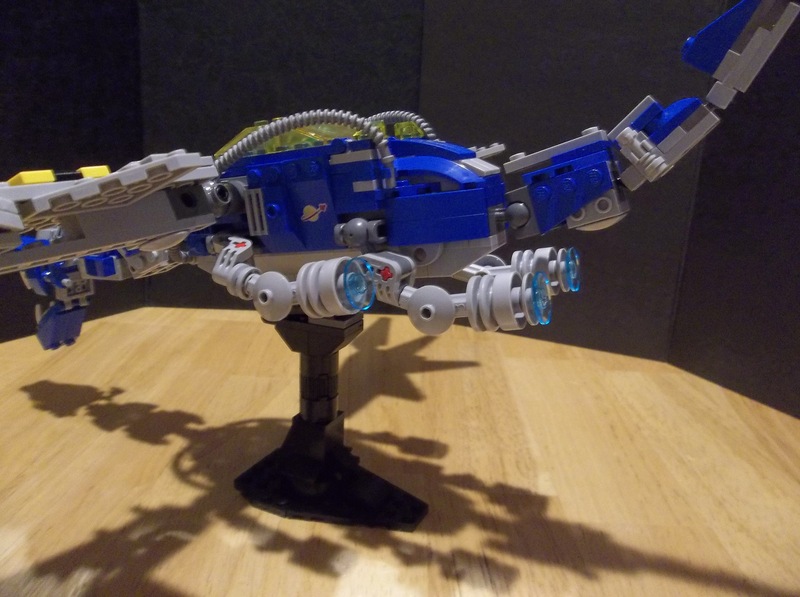 It’s a dragon, but it’s also a spaceship… You just blew my mind. I can’t really put into words how much I love this. And yeah, while the claws were cool, I think the stubbier thruster legs are more fitting. And honestly, I think the wings look epic as-is. Man, I can’t get over how much I like this thing. I’ve been having a really rotten day, so this was a very nice pick-me-up. Thanks. You’re welcome. It was a lot of fun to build; I’m glad you appreciated it. Yeah, I can imagine it’d be really fun to make. 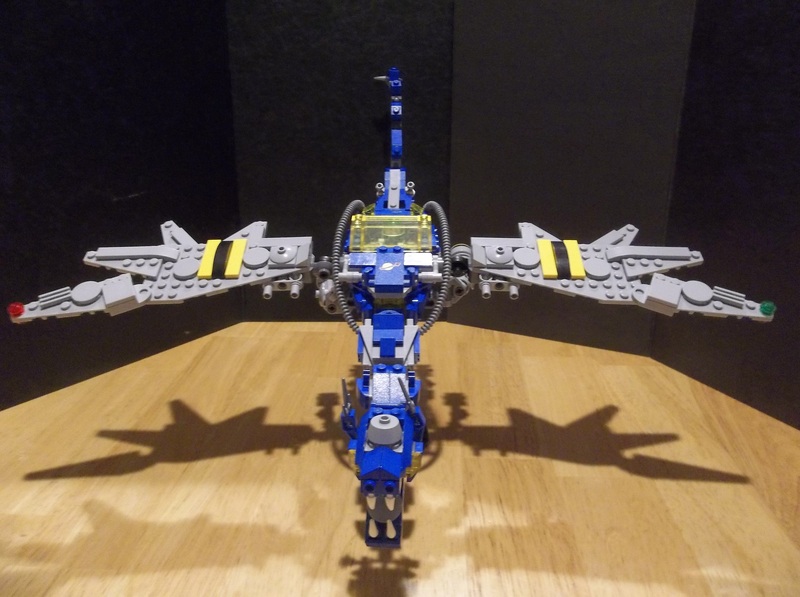 I really need to get back into building again. That is probably one of the best hybrids I’ve ever seen! 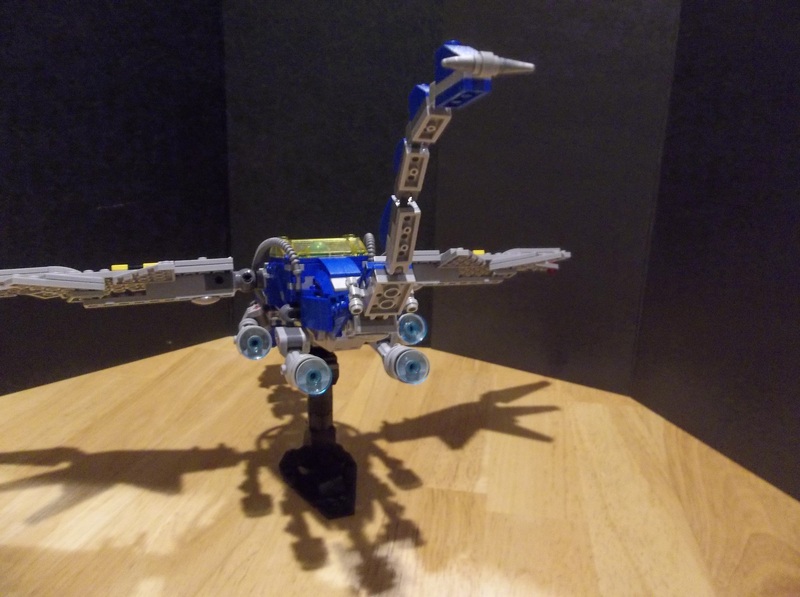 I love the mix up models, like friends exo- force, etc. But this tops the cake! Thank you so much! I was very pleased with how this turned out. I’m glad you like it.